German-Swiss artist Hans Holbein the Younger was born during the last quarter of 1497 in Ausburg. The “Younger” was attached to his name to make a distinction between him and his father, who was also a great painter. He worked in the Northern Renaissance style and was hailed as one of 16th century’s greatest portraitists. He was famous for his Reformation propaganda, satire and religious art and made tremendous contributions to book design history. Holbein, together with other Northern Renaissance artists such as Albrecht Durer and Lucas Cranach the Elder contributed to moving German out into the Renaissance period. He was a dominant portrait artist in England and Switzerland, with none of his contemporaries and successors able to copy the precision of his technique or the depth of characterization of his subjects. Holbein was very influential to younger portraitists such as Jan Vermeer, Rembrandt and Diego Velasquez. In his younger days, Holbein worked around Basel, doing religious works and murals. He also created designs for printed books and stained glass windows. 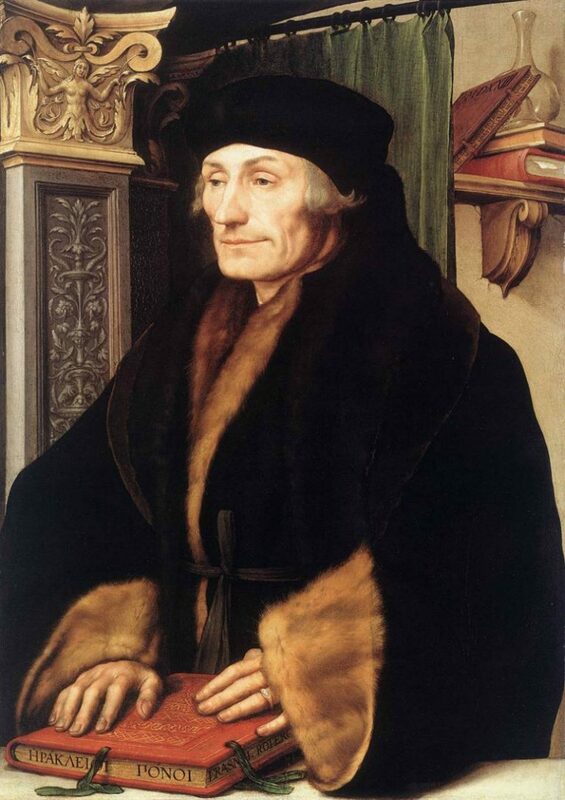 He was already doing portraits as well, but he gained international notice when he created portraits of Desiderius Erasmus, a Rotterdam humanist. He started working with reformist supporters when the Reformation movement arrived in Basel, although he still continued serving patrons wanting religious works. Holbein’s style was unique and was developed by the artist himself, with the combination of Renaissance humanism, Late Gothic Style, and the various aspects of the artistic trends coming from the Netherlands, France and Italy. Erasmus gave Holbein a recommendation and the artist traveled to England and met with Thomas More. It only took a short time for Holbein to gain a solid reputation. He came back to Basel and stayed for another four years before going back to England, under the support of Thomas Cromwell and Anne Boleyn. Three years after coming back to England, he became the painter of King Henry VIII. His work for the king did not end with portraits, as he also designed plates, jewelry, clothing, accessories and other objects of high value. Starting from the early part of his career, the works of Holbein were already highly prized. He was one of those artists who were so popular despite not having established an art school. Most of his works were collected but some were lost after he died. In the 19th century, Holbein was hailed as one of the greatest masters of portrait painting. The recent showcases of his works showed his versatility and precision, creating grand frescoes and intricate jewelry with a deft, realist touch. His portraits were known for their likeness, which allowed new generations to learn how other famous people looked like. 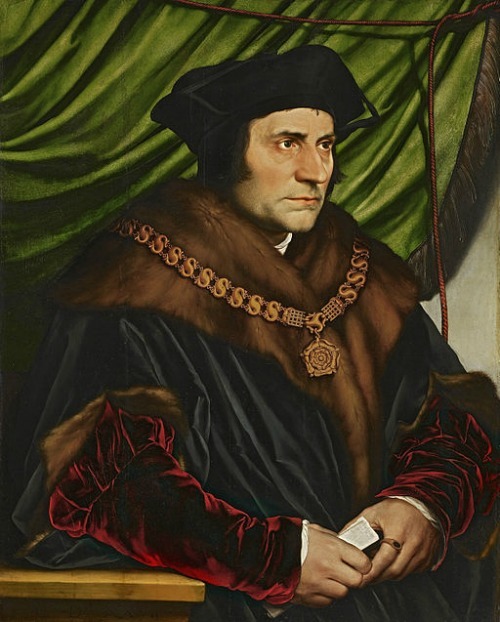 When Holbein first came to England, Sir Thomas More gave him full support, finding him several commissions and telling Erasmus that the painter he sent was a wonderful one. Holbein did a portrait of More and one with his family. He was mainly working within the humanist circle where More and Erasmus were members. He created several portraits for leading members, including William Warham, the Bishop of Canterbury, Nicholas Kratzer, the mathematician and astronomer from Bavaria and portraits of various courtiers. When he returned to Basel in 1528 after two years in England, the Reformation was already in his hometown. It was possible that many of Holbein’s works were destroyed during the time that he was away. But it seemed that Holbein’s religious works were ambiguous and inconclusive, thus he was able to gain favor with the reformists around 1530. He actually was retained and paid a fee to continue work on the frescoes for the Council Chamber. The artist went back to England in 1532 and stayed there until 1540. He came under the patronage of Thomas Cromwell and the Boleyn family. At that time Henry VIII was planning to marry Anne Boleyn instead of Catherine of Aragon. With Cromwell as the king’s secretary, Holbein had plenty of commissions. From painting portraits of Lutheran merchants in England, he also created two allegories, “The Triumph of Poverty” and “The Triumph of Wealth.” Sadly, these two paintings were lost. The merchants paid him to paint a street tableau of Mount Parnassus as a gift during Anne Boleyn’s coronation eve parade. Although portraits of Anne Boleyn done by Holbein did not survive for obvious reasons, there were still several items proving that he created many items for her, such as books, jewelry and a cup engraved with a falcon standing on roses. He became the King’s painter with a regular annual salary in 1536. In 1538, Holbein traveled with Philip Hoby to Brussels. He and some other artists created portraits of Christina of Denmark for the King. The English ambassador to Brussels commented that Holbein’s drawing was the finest portrait of a female that was painted ever. He also painted the portraits of Anne of Lorraine, Louise of Guise for the king, as well as that of the King’s future wife, Anne of Cleves. However, the painting was purported to be more beautiful than the person in the flesh, and the king was actually dismayed by her. Holbein was said to have succumbed to the plague at the age of 45 in 1543.